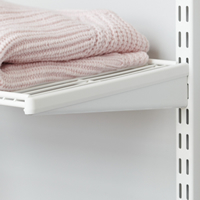 Our stylish elfa book shelving solution comes with 6 tiers of wooden elfa shelves in a stylish clean choices of white (as shown), birch or walnut finish. 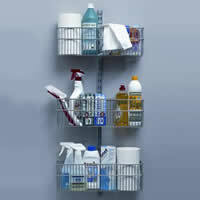 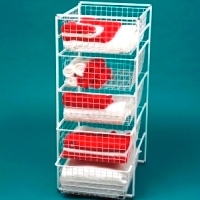 Each shelf is fully modular and can be adjusted to a height of your choosing to offer the best storage space. 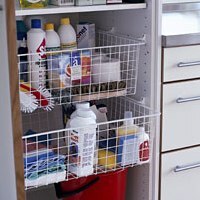 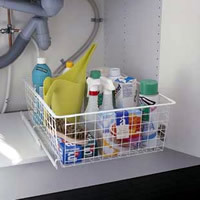 All of the shelving can also be neatly split to allow for a staggered look rather than one continuous shelf if required, you just need to purchase additional brackets which can be found on the link below. 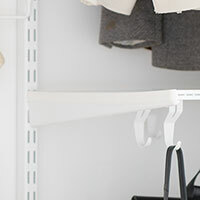 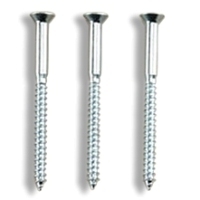 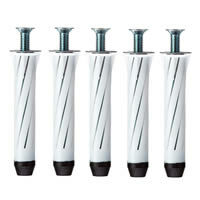 Best of all this elfa decor shelving solution will only require 13 screws (included) to install the entire solution...once the simple top track is installed, everything else simply clips into place without peppering your wall with holes, neat huh! 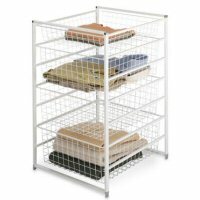 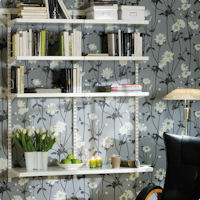 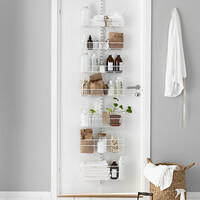 Our elfa decor book and ornament shelving is made in Sweden and comes with a 10 year guarantee. 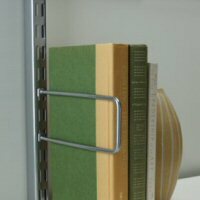 The Nordic wood used for these shelves is grown and harvested in a sustainable method. 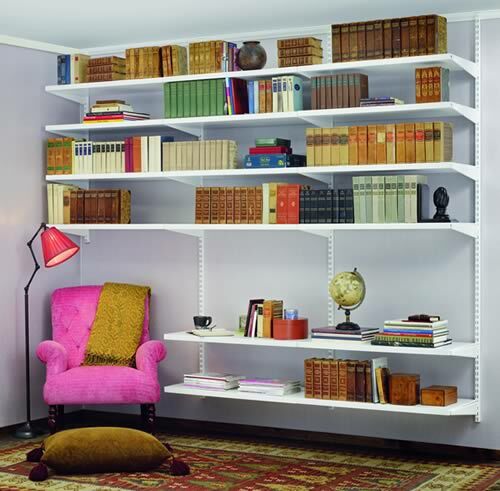 If your available space doesn't meet this criteria, we'd be happy to plan a custom storage solution for your office or library room at no charge, just email STORE with details or call 0844 414 2885.